If you're a fan of the well known Just Cause series by Avalanche Studios, then today is definitely going to be a good day for you. In the wee hours of the morning on February 2nd, DSOG (Dark Side Of Gaming) posted a quick update with the new screenshots of Just Cause 3. Now, normally getting excited over screenshots is not something a lot of people do. However, these screenshots look amazing! From what we can see in the screenshots, it's obvious that there is going to be a lot of ways to cause some mischief. Oh, and don't forget all of the explosions we're going to cause. Who doesn't love explosions? 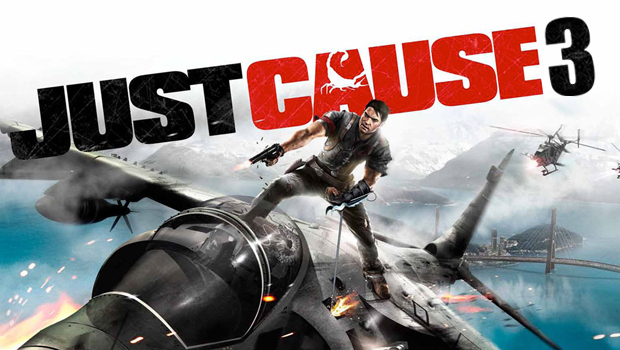 For those of you who aren't familiar with Just Cause 3, or any of the Just Cause games, you should definitely look into taking it for a spin. Just Cause 3 will be taking you to a fictional Mediterranean island that goes by the name 'Medici'. Whilst on this island, you'll be playing as Rico Rodriguez, whose mission is to fight against the islands dictator, General Di Ravello. Sounds a little interesting, but some may see it as just another shooter. But with all of the 'extra' mayhem we can cause, it definitely doesn't feel like 'just another shooter game'. Just Cause 3's map will generally be the same size as it was in Just Cause 2, but we will be able to explore it a lot more vertically than we previous could. By that, I mean that we'll be able to go to higher places on the island, and underwater further than before. We will also be seeing the return of the grappling hook and parachute from Just Cause 2 along with incredible advancements to the games mechanics. You can take a look at the screenshots and be your own judge as to whether or not Just Cause 3 is going to live up to your expectations. The game is currently set to be released in June of 2015 for PC, PS4 and Xbox One. From what I've seen from the screenshots of this game, it's definitely going to be putting our consoles and PC's to work. However, let's keep the PC Master Race stuff for another time. What do you guys think about the screenshots, and about Just Cause 3? Let us know in the comments! Also, many thanks to NixFifty for bringing this to my attention.